No ticket required. Start time to be confirmed. Shoreside Theatre have a long history of presenting shows at The PumpHouse Theatre and were instrumental in building and improving the outdoor Amphitheatre space for Auckland Shakespeare in the Park. 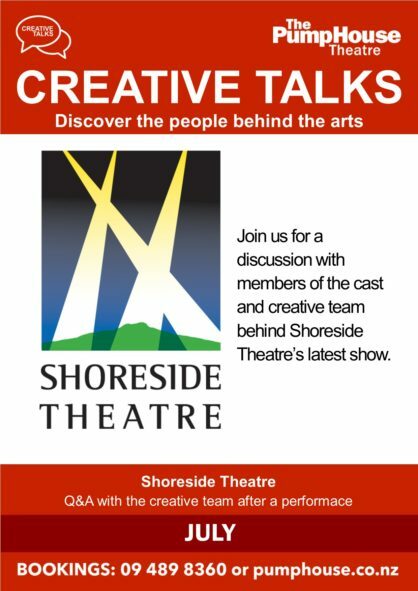 Join members of the creative team for an after-show Q&A following a performance of one of Shoreside Theatre’s popular mid-winter Agatha Christie murder mysteries.